Carpet is still the most popular flooring options in residential and commercial settings. Why is carpet so popular? For one thing, it offers comfort that is unmatched. Plus, most modern-day carpets offer premium stain and wear resistant technologies, so they can stand up to everyday life. Carpet comes in many different styles, and its comfort is unmatched. There are so many different colors, shades, and patterns from which to choose, so no design is considered off limits when you choose carpet. Carpet One Floor & Home in Redding is your local expert when it comes to carpet flooring. Our flooring professionals use our unique Select-A-Floor™ system to match you to a carpet that suits your lifestyle and personal style. We make finding a new carpet easy, and several of our carpets are made to handle even the toughest challenges. When selecting a new carpet for your home or office, there are many factors and features you'll need to take into consideration. One of the most important things to consider is wear and durability. Do you need a waterproof carpet that can handle spills and stains? Or maybe you need a carpet that can handle pet accidents. At the same time, you need to balance performance with style, as your new carpet should fit perfectly into your overall design. You definitely want to make sure to choose a carpet that will look good and last long in your preferred setting. How do you find the right balance between performance and style? The most important thing you need to do is choose the right type of carpet. There are five main types: level loop, patterned, textured, frieze, and plush. 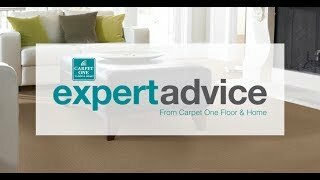 We at Carpet One Floor & Home are proud to be your neighborhood experts when it comes to carpet. As part of our selection of carpet brands, we have Carpet One exclusives such as Relax, it’s… LeesÒ, TigressáÒ, and Innovia™. To see our entire collection of carpet flooring, be sure to visit our showroom in Redding, CA.